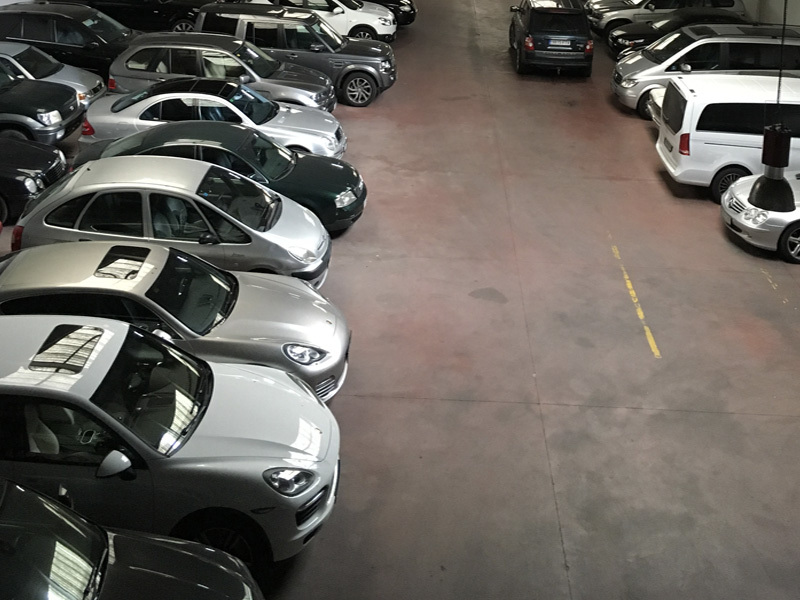 In our indoor car park your car will be kept in a closed facility, protected from the weather and with 24 hour a day surveillance. 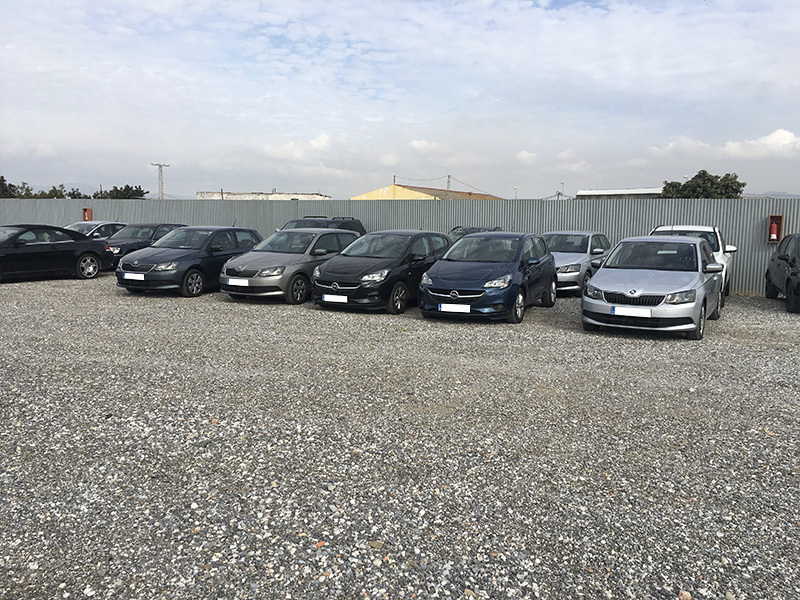 In our outdoor car park your car will be monitored in secure and fully adapted premises. We will take responsibility for the car’s transfer and make sure it’s ready when you return from your trip. 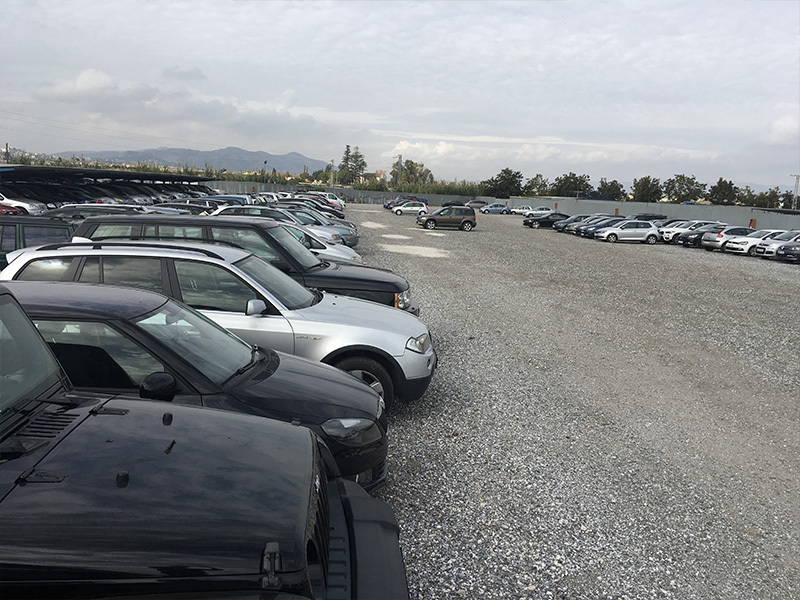 Parking San Isidro has two types of completely safe and monitored facilities. 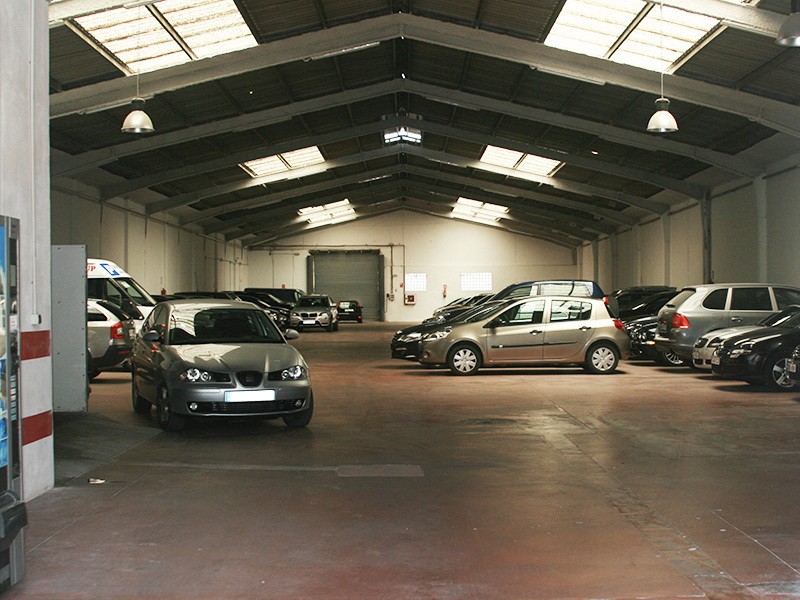 In case of accidents, Parking San Isidro’s insurance is fully liable. Duly certified fire prevention system. If you would like to have a look at our outdoor facilities, we would be delighted to show you around. Every picture you see is genuine, without any modifications or misleading advertising. Come directly to our car park where you will be attended to by our staff who will provide you with a ticket containing your personal information, your vehicle’s data and the dates of your stay in the car park, along with the amount that will be due when you return to collect your vehicle on your return. Our staff will take responsibility for your vehicle and park it in our facilities. We will then take you in our free minibus to the airport terminal, Maria Zambrano railway station or the port (reserve 24 hours in advance). On your return, simply give us a call and within just a few minutes we will collect you at the pick-up point and drive you to the car park, where we will have your vehicle ready for you. The pick-up and drop-off points are set by the airport authorities so it is prohibited to change them or to stop in any other place. Our customers usually leave their car keys with us, but of course if you prefer you can take them with you. We are not liable for any eventuality which may arise due to unforeseen circumstances which would be preventable if we had your vehicle’s keys in our care. How to find San Isidro Car Park? 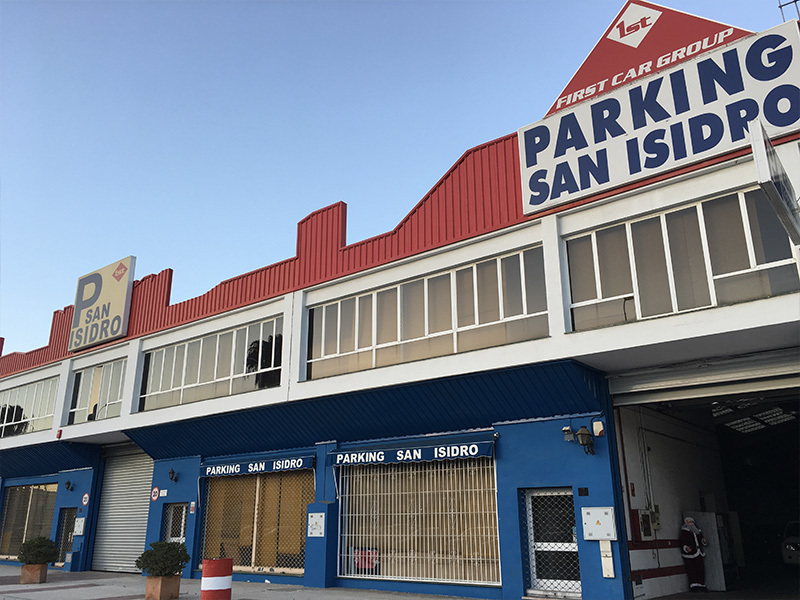 Parking San Isidro is well signposted and easy to find. We are right next to Málaga Airport, in front of the San Miguel beer factory. If you’re travelling from Cádiz (or Estepona, Marbella, San Pedro, etc) continue towards the airport. Once you have passed Torremolinos, turn off at the Avenida Velázquez exit. You will again see signs with directions to the airport. This route arrives via the old road, which is the simpler and fastest way to get here. 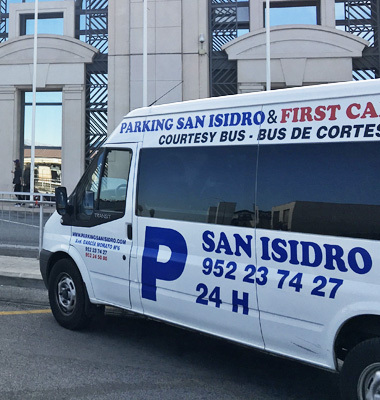 However, if you continue towards the airport without turning off, the new highway will take you straight to the terminal and in order to arrive at San Isidro Parking you will have to enter and exit the Parking Express. If you’re travelling from Granada (or Almería, Antequera, Motril, etc) continue towards Málaga-Oeste-Aeropuerto. Once you’re in Málaga, continue towards Torremolinos and in a few kilometres you will be see signposting for the airport. This is the old road, which runs straight past our facilities, so it is the easiest and fastest route to our car park.